Karsten Moholt constantly strives to remain a leader in the electromechanical industry. Our winning strategy is a continuous focus on developing new solutions for efficient maintenance. Over several generations, Karsten Moholt has built up unique expertise and experience in rotating electromechanical equipment, which has made us world leaders in many of our fields of expertise. Karsten Moholt is the preferred partner of several of the world’s leading companies. Karsten Moholt AS accepts no harm to people, the environment or materials. Our goal is to be a leader in HSE and quality in our segment. We have set up concrete parameters that we measure and use as we continue to strive to improve. Over time, Karsten Moholt AS has developed and implemented an integrated control system. The system is certified by Nemko and IQ Net according to ISO 9001, ISO 14001 and OSHAS 18001 and is designed to continuously improve complex work processes and the interaction between them, and manage them according to our corporate responsibility to our employees, customers, governments, owners and the environment. At Karsten Moholt AS we focus on the customer and deliver products and services at the right time, quality and by using the right expertise. Our goal is always to meet the customer’s requirements and contribute to cost-efficiency through efficient and cost-conscious execution of our work and the application of new methods and technologies. Therefore, we have also established clear quality goals that we navigate by. We are, as the only company in Norway, in addition to being a Nemko-approved workshop, both IECEx- and UL-approved to repair and overhaul equipment for use in environments with high explosion risk. 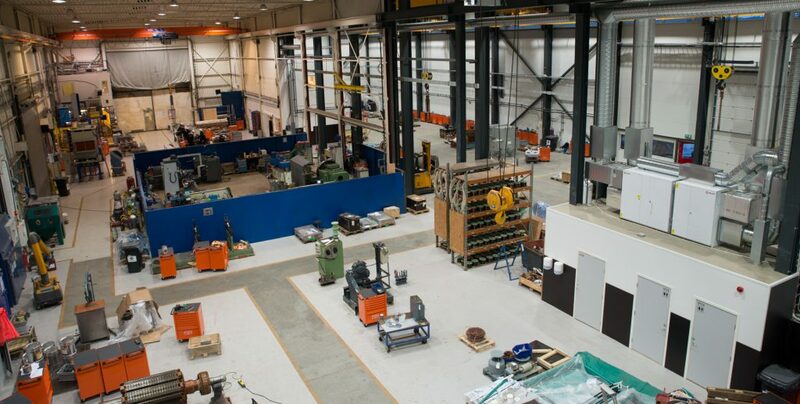 Furthermore, our Condition Monitoring Department is both DNV GL-approved and ABS-approved as a service provider and authorised training and examining body for maintenance personnel. We are also an approved service centre for ABB, Nemko and approved as an expert forklift controller. The company is registered in several prequalification databases for suppliers, such as Achilles JQS, TransQ, Sellicha and StartBank. In addition to the on-going audits carried out by these customers and certification companies, we also continuously control our own systems, processes and products through internal quality audits. We aim to manage HSE initiatives in the company in a proactive and future-oriented way. It is important to us that our products and services are delivered with minimum impact on the environment and a high degree of safety for our employees in the production process. The company creates annual HSE programmes. We have established concrete measurement parameters related to our health and safety goals, including absolute goals for zero injuries and accidents, zero work-related sickness absence and zero emmisions to the outside environment that are subject to reporting requirements. The goals are continuously monitored through the control system, and unwanted events are continuously recorded in our quality system as well as uncovered through regular safety inspections and internal HSE audits. The company also has systems for training and skills development, and all new employees must complete HSE training as part of the company’s training plan. Karsten Moholt is well on its way towards the goal of zero damages, and in recent years the number of unwanted incidents and accidents have been very low. The company is, however, well aware that this work never ends. Karsten Moholt AS (KM) has created their own terms for their deliveries to the Customer. To the extent that the delivery includes machines and other electromechanical equipment, NL 01 applies. To the extent that a delivery involves machines and other electromechanical equipment including assembly, NLM 02 applies. The terms of NL 01 / NLM 02 apply, with the changes and additions listed in the terms below, together with price estimate and order confirmation. The price estimate commits KM only within the time limit KM has specified in the estimate. If no time limit is specified, the price estimate is open for acceptance for 15 days from the date it was issued. All prices presuppose free and timely access to carry out the work and timely delivery of the necessary information from the Customer. KM reserves the right to claim coverage of all additional costs and to adjust delivery times in case of lacking free and timely access to carry out the work and delayed delivery of information. The prices do not include any work or parts needed due to unforeseen electrical or mechanical errors, or defects that lie beyond the parameters used when diagnosing the equipment, and therefore can only be uncovered later, during an overhaul process. The prices included in KM’s price lists do not include government taxes, such as value added tax (VAT). Price adjustments may be made in connection with currency fluctuations and national salary settlements. All costs incurred for diagnosis/planning or technical investigation of equipment will be invoiced after 15 days. After that, costs for storage of customer equipment will be invoiced according to the current storage costs, as described in the payment terms in Section 5, Payment terms. Work carried out in our workshops is invoiced on a time-spent basis if no other agreement exists. If the services are to be carried out at a fixed price, reservations are made for unforeseen electrical and mechanical errors – time spent on such errors will be reported and billed. If the services require overtime work, work over 8 hours will be billed as 50 % overtime for the first five hours and 100 % after that. Unless otherwise agreed, KM will invoice partial payments according to progress on the work order or on an agreed milestone. Ordered parts with a total purchase value of over NOK 100,000,– will be invoiced consecutively. Unless otherwise stated in the price estimate, testing of motors or generators means running idle. KM is not liable for the condition of the AVR when testing its associated generator in the KM workshop. If KM is to be able to test the AVR of a generator, this must be done in the field with the possibility of loading and unloading. Work related to planning, sensor installation and/or other start-up costs required to deliver remote condition monitoring and analysis services will be invoiced according to the time and materials spent and is, unless otherwise agreed, subject to the same terms regarding overtime, travel expenses etc. as other work under these general terms. If the services are to be delivered at a fixed rate, including sensor delivery and installation, KM reserves the right to invoice any additional time spent due to lack of free and timely access, delays, incorrect information from the customer or unforeseen electrical or mechanical errors. Unless otherwise agreed, sensors and other necessary equipment are invoiced according to KM’s price lists and becomes the customer’s property upon installation and full payment. Remote condition monitoring and analysis services are invoiced every month unless otherwise agreed. Unless agreed otherwise, the customer has the right to sell or give his customer access to reports/analyses. KM should under no circumstances be liable for the customer’s customer for any losses due to the use of such reports or analyses. In cases where the remote condition monitoring and analysis services are based on data from sensors and equipment not installed by KM, KM is not liable for any errors in the services to the extent that they are caused by errors in the provided data. The terms of section 7 and 8 also apply in full. Contracts for providing remote condition monitoring and analysis services have a fixed duration of 12 months, after which they are automatically renewed for a further 12 months unless notice of cancellation is given at least 30 days before the end of the current 12-month period. Offshore work is invoiced monthly based on the hours spent in accordance with signed time sheets. Work that goes beyond 12 hours will be invoiced as 100 % overtime work. If day rates are given for work in the field this is based on a normal 12-hour working day, and any overtime will be added to this. Accrued working hours will be invoiced monthly. Onshore work is invoiced monthly based on the hours spent. Work over 8 hours will be billed as 50 % overtime for the first five hours, and then 100 % overtime after that. If day rates are given for work in the field this is based on a normal 8-hour working day, and any overtime will be an addition to the agreed day rate. Outside Hordaland, an out-of-town surcharge is added in the form of a 20 % increase in the hourly rate. Onshore work outside Norway is invoiced monthly based on the hours spent in accordance with signed time sheets. Work that goes beyond 12 hours will be invoiced as 100 % overtime work in addition to the agreed day rate. If day rates are given for work abroad this is based on a normal 12-hour working day. For every hour worked after 22:00, 1 hour of compensatory time off will be invoiced. For work carried out on Saturdays, the first five hours are invoiced as 50 % overtime, and 100 % overtime after that. For work on Sundays and public holidays, 100 % overtime will be charged from the first hour. Travel time is invoiced according to signed time sheets. Up to 12 hours travel time can be invoiced within 24 hours. Waiting time caused by changes/delays/cancellation of flights, helicopter departures or other means of transportation is invoiced as travel time upon departure and as working time on the return journey. Travel time in connection with the execution of warranty work in the field is invoiced according to signed time sheets. Travel expenses are invoiced according to the State travel allowance scale with a 10 % administrative fee. Travel-related expenses are invoiced at cost price based on receipts plus a 10 % administrative fee. This also includes waiting time during the trip. For regular oil destinations in Norway (Bergen, Stavanger, Florø, Kristiansund, Brønnøysund and Hammerfest) fixed mobilisation and demobilisation rates are used unless otherwise agreed. The rates include mobilisation from Storebotn 90 to check-in at the heliport of the chosen destination. Upon demobilisation the rates apply from check-out at the heliport at the chosen destination and to Storebotn 90. Board and lodging when spending the night in connection with mobilisation or demobilisation, due to lacking correspondence between airplane and helicopter, is not covered by the mob/demob rates and will be invoiced at cost price plus a 10 % administrative fee. KM requires 36 hours notice of any delays or changes in the agreed start date of the work. If the assignment is delayed and our service technician is put on standby, a daily standby rate of NOK 2 500 will be invoiced per service technician. Emergency mobilisation, which is available 24/7, will be charged NOK 10,000 per person per assignment. Unless otherwise agreed, ordered parts and equipment will be invoiced 100 % upon receipt at KM’s storage space or at the customer’s facilities. Invoices are due 15 days after the invoice date. After the due date, interests on overdue payment are calculated at 1 % per month. Delivery of equipment takes place in accordance with Incoterms® 2010 ‘EXW’ unless otherwise agreed. KM provides a 12-month warranty against errors and defects in work/services carried out by us in our workshops or in the field. No guarantees are given for temporary emergency repairs. KM has no responsibility for errors that occur due to use of the equipment, including improper use and inadequate maintenance. No guarantees or acceptance of liability are made for generators that, after overhaul or repair, are operated with low load against the filter and frequency converter, as this may lead to feeding reactive power into the generator. The customer covers all costs for transporting personnel and equipment to and from all offshore locations, and board and lodging at offshore locations. KM is not liable for any damages or losses that arise as a consequence of incorrectly / inadequately performed work. In case of a complaint, the customer must organise dismantling and shipment of the equipment to KM’s workshop. The Customer must complete KM’s root cause analysis form and submit this to KM when filing a complaint. The customer is obliged to carry out an immediate receiving inspection no later than a day after the equipment has arrived at the customer’s premises. Complaints addressed to KM regarding damages, deficiencies or losses must be made no later than a week after receiving the equipment. If no such complaint is made within a week of receiving the equipment, the delivered equipment is considered to be without deficiencies, damage or losses upon delivery. The Customer shall fully indemnify KM and KM’s subcontractors for any claim, liability, loss and/or damage related to personal injury or loss of human life among employees of the Customer, the Customer’s customers and/or subcontractors, and loss or damage to property belonging to the Customer, the Customer’s customers and/or subcontractors which may arise as a result of or in connection with the services or caused by the equipment during its lifetime. The Customer’s obligation to indemnify KM shall be generally applicable to loss or damage to equipment that KM is to provide services for, regardless of the formal ownership of the object and any other loss that the Customer’s customer may have suffered as a result of equipment or services provided by KM. KM’s maximum liability for any loss or damage to the object shall be limited to NOK 1 million. The Customer’s indemnification obligations shall apply without regard to liability conditions in any form from KM or their subcontractors. (a) pollution, whether originating from the ground or from the installation where the services are performed or the equipment/object is used. b) fire, explosion or blow-out from a well or reservoir. c) discharge of a product from any facility, including pipelines or other subsea or surface installation. This shall apply without regard to liability conditions in any form from KM or their subcontractors. KM’s liability for delays shall nevertheless be limited to a maximum of 5 % of the (estimated) original contract value. This shall apply without regard to liability conditions in any form from KM or their subcontractors. Neither party shall be liable to the other for any consequential and indirect loss as a result of or in connection with performance or failure to fulfil its obligations under this agreement. None of the parties shall be liable to the other for loss of production, loss of profits, consequential losses, loss of contracts, regardless of whether the loss was due at the signing of the contract and/or regardless of whether such loss is considered to be a direct or indirect loss. This shall apply without regard to liability conditions in any form from KM and their subcontractors or Customer. KM’s total liability under this agreement, including the liability for delays and deficiencies, and regardless of whether or not the contract is cancelled, shall be limited to the lowest amount of NOK 2 million and 25 % of the (estimated) original contract value. This shall apply without regard to liability conditions in any form from KM and their subcontractors or Customer. Except what is expressly stated in the terms of the contract, the parties have waived the right to invoke all other remedies for breach of contract that may result from law or on other grounds. If the Customer cancels, KM has the right to charge the Customer for all costs incurred in connection with the contract or assignment in addition to 10 % of the (estimated) original contract value. 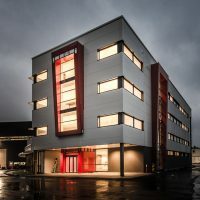 The contract is subject to and interpreted in accordance with Norwegian law and any disputes that may arise in connection with or as a result of the contract shall be settled by litigation in the Bergen District Court as a court of law. The stator was reconstructed and tested according to our procedures for this type of work. The measurement result (PD, TD, PI, IR) after winding was excellent. The generator was painted and the air-cooling system was overhauled and tested. Shell wanted replacements for compressor motors at Shell Draugen. Karsten Moholt 3D scanned the existing compressor motors at Draugen. Documentation and drawings were made based on the 3D scan.